A couple of days ago, Famitsu.com released a short end-of-year interview with Yu Suzuki as one of a number of figures interviewed across the games industry. 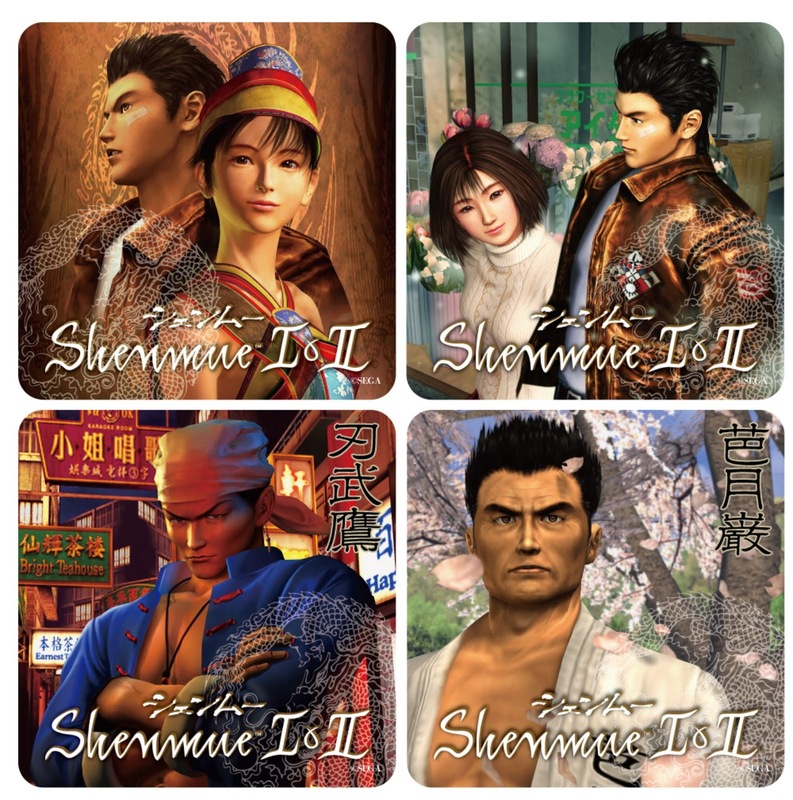 And now, Japanese website 4Gamer.net has put out a similar survey, and we have translated Yu Suzuki's responses below. He touches on the same theme as for the Famitsu interview, but with a slight variation in his wording which helps to clarify his earlier comment. Q1: Among the games that were released in 2018, which title were you most interested in (or had the greatest impact on you)? 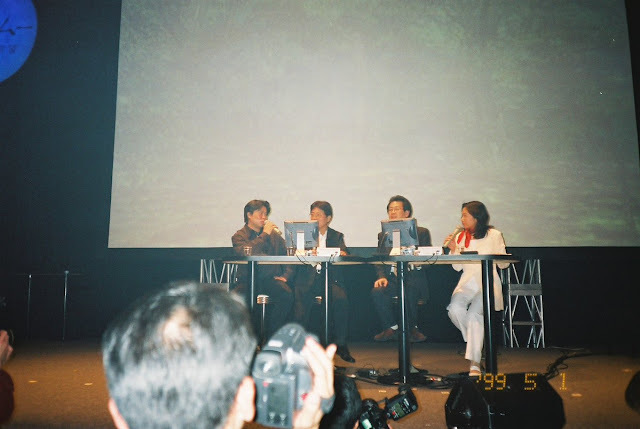 YS: I was so focused on the development of Shenmue, that I had absolutely no time to play other games. Q2: Of the entertainment content that was released or announced during 2018, which one left the deepest impression? YS: "Ready Player One," a movie which has VR as its theme. After being involved in HMD (head mounted display) type VR games in the arcades in 1991, with the passing of time VR is now booming again. The way the future of VR is portrayed in this movie is done with just the right amount of humor, and is a touch I like. Q3: Which figure personally caught (or is catching) your attention in 2018? YS: Mr. Donald [Trump] and [Japanese prime minister] Mr. Abe. They were the ones who concerned me most, in various ways. Q4: What is your New Year's Resolution for 2019, and could you also give a message for 4Gamer readers? 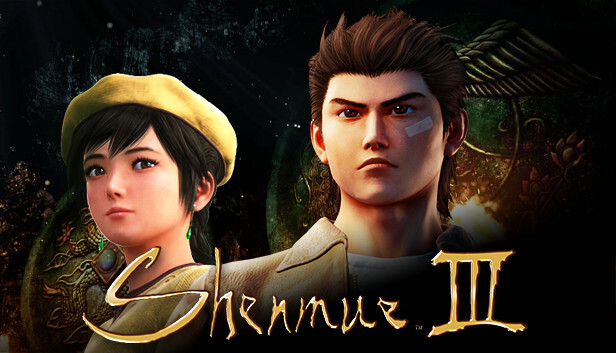 YS: Shenmue III is scheduled for release in August. I believe that the balance between the user cycle and the economy will be another new point of attraction for open worlds. I want to deliver the leisurely-paced world of Shenmue to everyone soon. As in the Famitsu.com interview, Yu raises the same theme of "Balance" again, specifically in regards to balancing the user cycle (player interactions) with the economy that exists within the game world. Based on the context of his comment, it appears that this is an aspect that Yu has refined for Shenmue III. With less than eight months to go until its release, there is not too much longer to wait before we will be able to experience it for ourselves. Japanese website Famitsu.com has published their traditional annual survey of members of the games industry, this time interviewing a total of 119 game creators. They were asked for a single "keyword" to summarize their direction for 2019, and their New Year's Resolution. YS: "Balance". I'm looking forward to what's to come for open-world user cycles and games that are perfectly-balanced economically. Yu's comments about his chosen keyword, "balance", no doubt reflect themes of interest within the context of his development of Shenmue III. The phrase "user cycle" can refer to the patterns of interaction over time that a player has with a game (such as how frequently and for how long they play) as well as their actions within the game. Regarding the comment on the economic aspect, my initial speculation was that here Yu may have been referring to the challenge of attaining balance between development budget and game sales. However in a subsequent interview published by 4Gamer, Yu's comments indicate that he is talking about the balance between the user cycle and the economics within an open-world game itself. 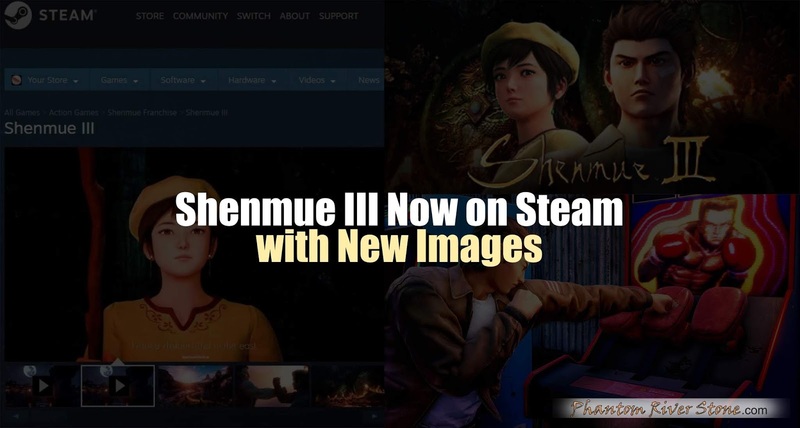 Not surprisingly, it is clear that Yu is completely focused on Shenmue III, as he and team work towards its release date of 27th August 2019. 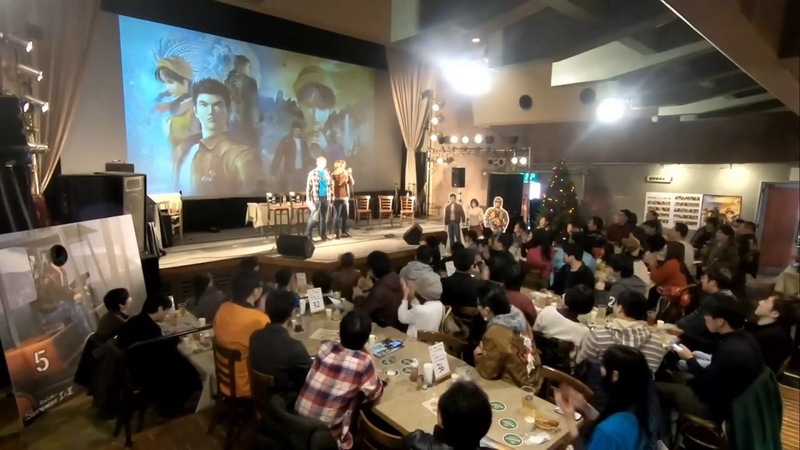 Yu Suzuki's Keyword for 2018: "Immersion"
Yu Suzuki's Keyword for 2017: "Shortcuts"
Earlier this week, on December 24th, a group of Shenmue fans packed into a venue in Yokosuka, Japan for a Shenmue fan meeting, organized by Yokosuka City and IGN Japan. Interest shown during the pre-registration period was so high that the originally-planned 80 places was increased by 50% to a total of 120, with attendees being selected by a draw. 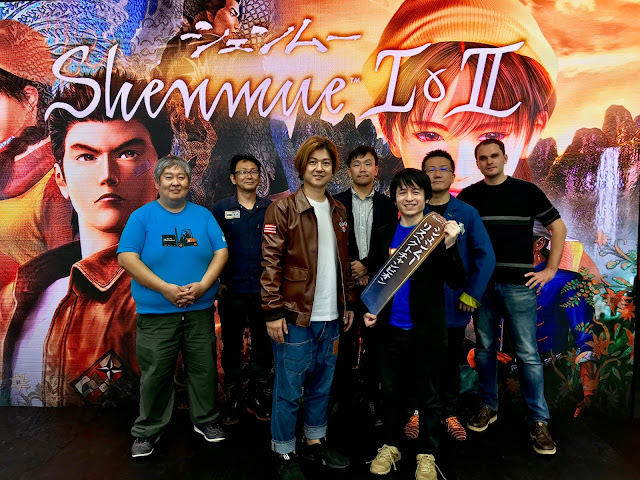 The MC of the event was Esra Krabbe from IGN Japan, with on-stage guests including Masaya Matsukaze (the voice and motion-capture actor for Ryo Hazuki in the Japanese versions) as well as guests Eigo Kasahara and Hiroshi Noguchi. 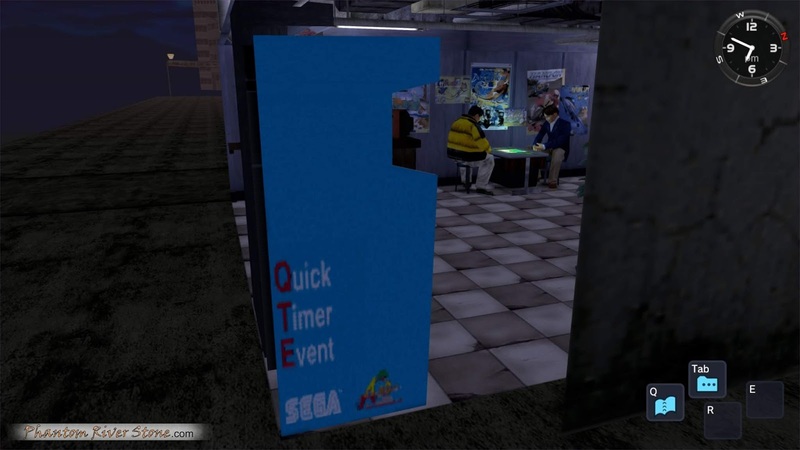 Various Shenmue themed stand-up cut-outs (Ryo, Nozomi, Kurita-san, and a forklift truck) were set up at the venue. 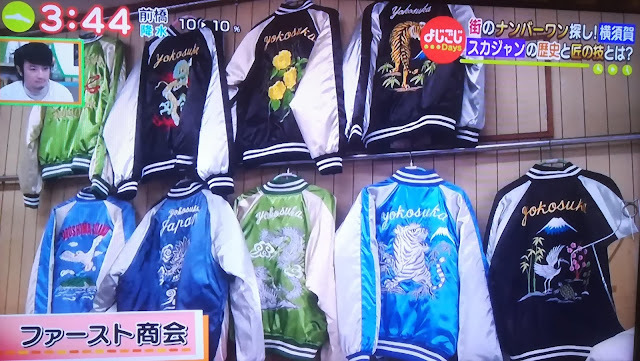 They are also part of the Shenmue Sacred Spot campaign and on other days are stationed at shops around Dobuita. The talk show was also live-streamed to IGN Japan's YouTube channel (link to video). The chat took place in Japanese - and happily, English captions are being prepared. 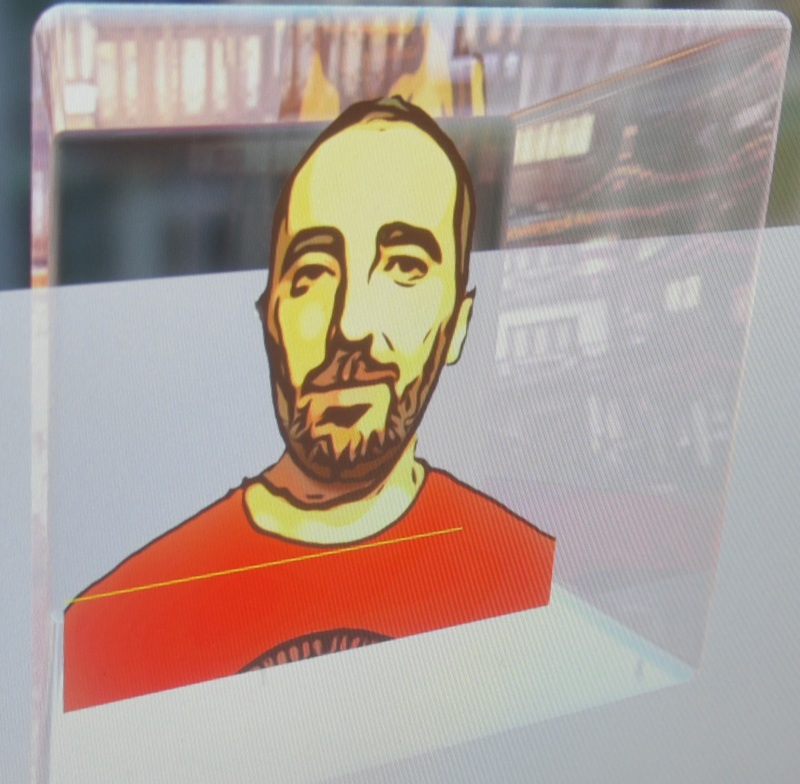 In this post, we will summarize the live-stream footage from the event, with some highlights. 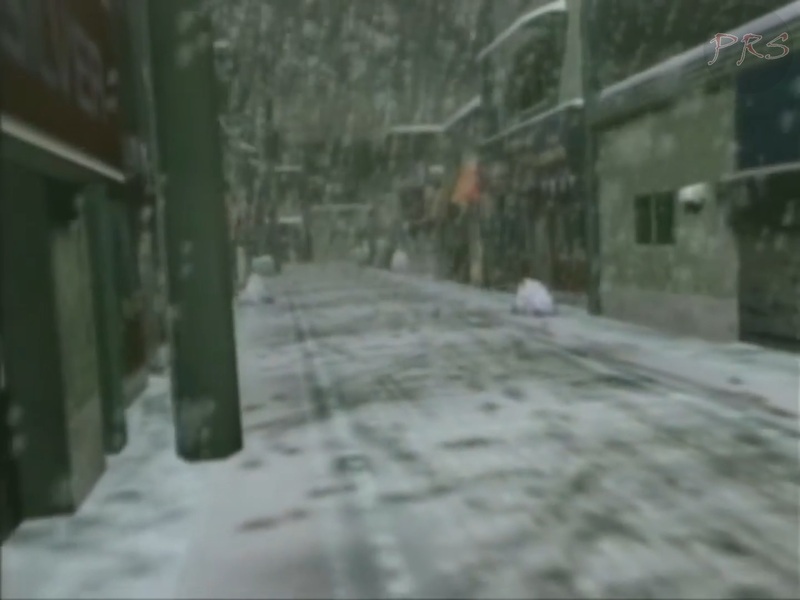 Shenmue I conjures up images of icy streets and snow falling gently on Yokosuka. Earlier in the year I captured some footage of Dobuita and the surrounding areas after a light overnight fall of snow. At several points along our stroll, we compare how closely the real locations compare to the way they are depicted in the game (using footage from the Dreamcast version), with the similarities being striking even today. As a bonus, the end of the video contains a collage of still photos. 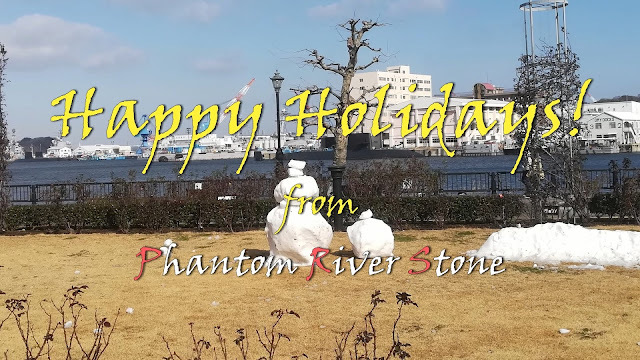 Thank you to everyone following the Phantom River Stone blog. I look forward to bringing you more analysis, articles and videos next year. And a special mention to all our patrons for your amazing support - you help to keep the blog going! 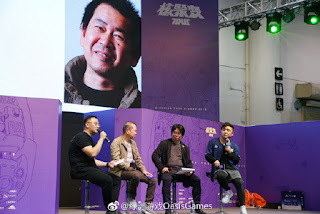 On December 16th, Yu Suzuki took to the stage to talk about Shenmue III to an audience of gaming fans at the G-Fusion Tour event that was held in Xiamen, Fujian province in China (as announced at the end of November). As with the recent Tokyo Game Show, animation producer Hiroaki Takeuchi also took part. 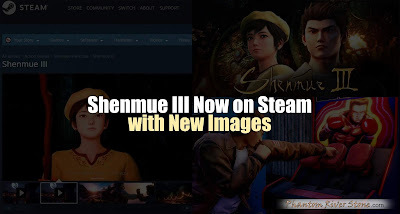 There will be a version of Shenmue III released with Simplified Chinese subtitles. 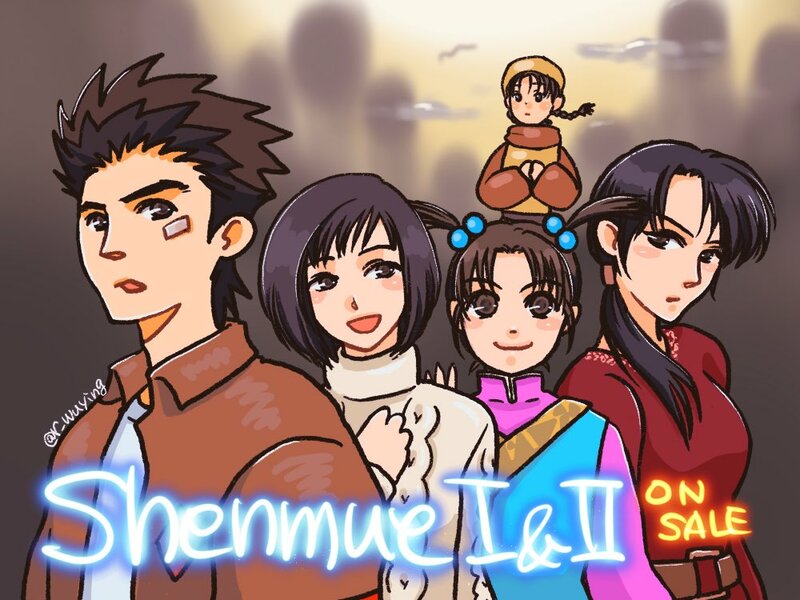 The distribution of Shenmue III in China is to be handled by Tencent (on the WeGame platform) and Oasis Games (for PS4). Also during the talk, a slightly modified version of the "The Prophecy" trailer for Shenmue III was shown, with Chinese subtitles, to a warm reception from the audience. 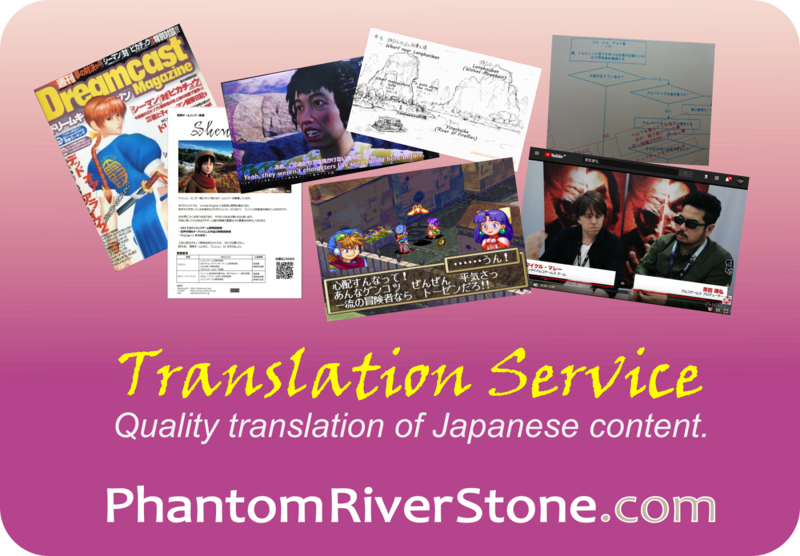 We have added English translated captions to the video which can be viewed below. Or, if you prefer to read a written version, a full transcript of these follows. Yu Suzuki (YS): Everyone, I'm Yu Suzuki. I'm glad to be here today. Hiroaki Takeuchi (HT): Nĭ hăo! My name is Hiroaki Takeuchi. Q: We've heard that you've come to China several times. Is this your first time in Xiamen? YS: I've been here once before, about 3 or 4 years ago. I came to research the circular tower-like structures of the Hakka people, which look sort of like missile bases. 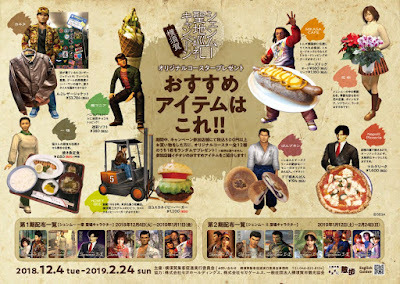 Today, 20th December 2018, marks the twentieth anniversary of the Shenmue Premiere, an extravagant event that was held in Yokohama in 1998 - as well as in five other cities around Japan thereafter - at which Yu Suzuki introduced his groundbreaking new game, Shenmue, to the public. The free event lasted for two hours and included a live orchestra, videos and live gameplay. Every attendee also received a bag packed full of Shenmue items such as a T-shirt, CD single and Shenhua figurine to take home with them. For those who wanted more, many other items of Shenmue merchandise could be bought in the lobby. 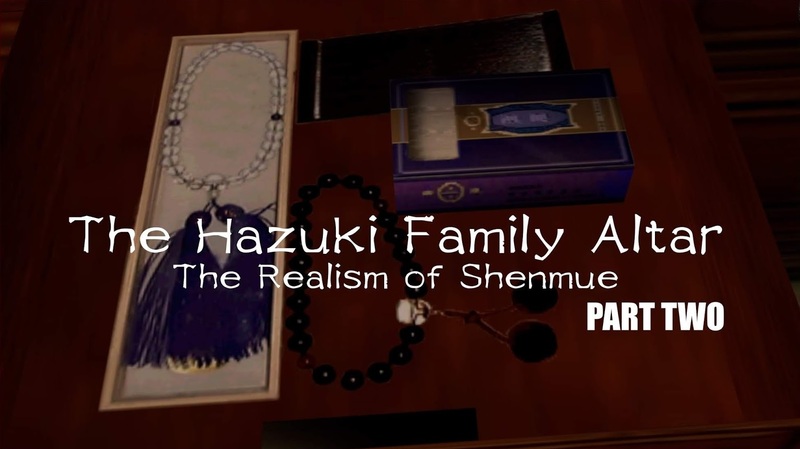 In the following months, Sega released a ten-minute digest video of the Yokohama premiere. A frame from the Magic Weather demonstration. A snippet of the live-orchestra performance of the Shenmue theme. 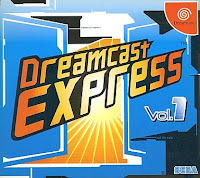 This video was included on the first volume in 1999 of Sega's Dreamcast Express series of demo discs, among with several other videos and demos. 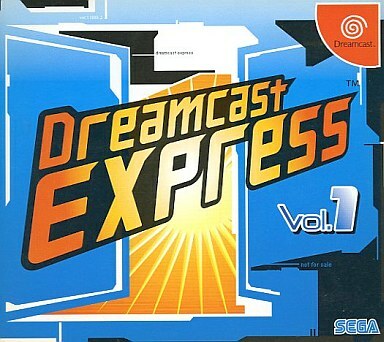 The cover of the Dreamcast Express Vol.1 disc, on which the Shenmue Premiere digest video was included. 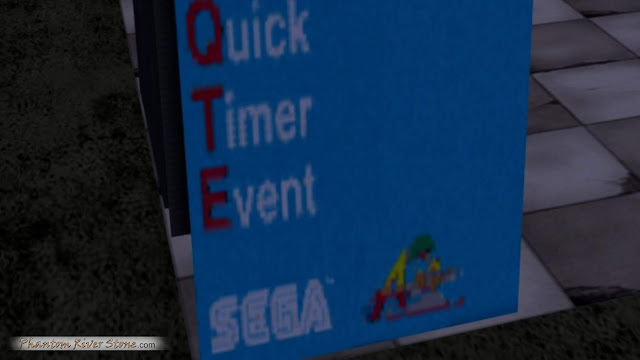 A full-length video of the premiere event was also made available but unfortunately the extreme compression used at that time rendered it almost unwatchable; we hope that perhaps someday the original recording may be unearthed from Sega's vaults. 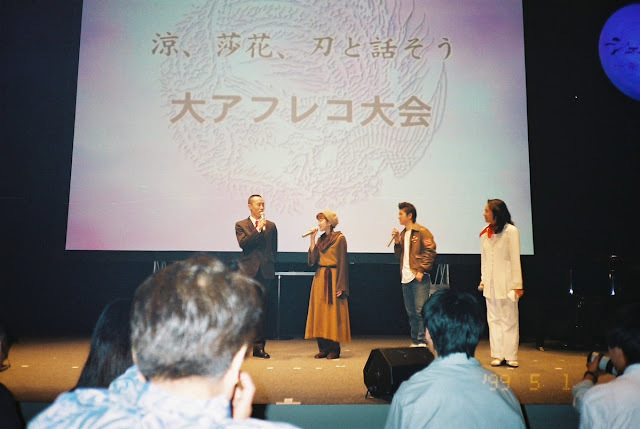 One of the MCs at the event, actress Reiko Chiba, is still a good friend of Yu Suzuki to this day. 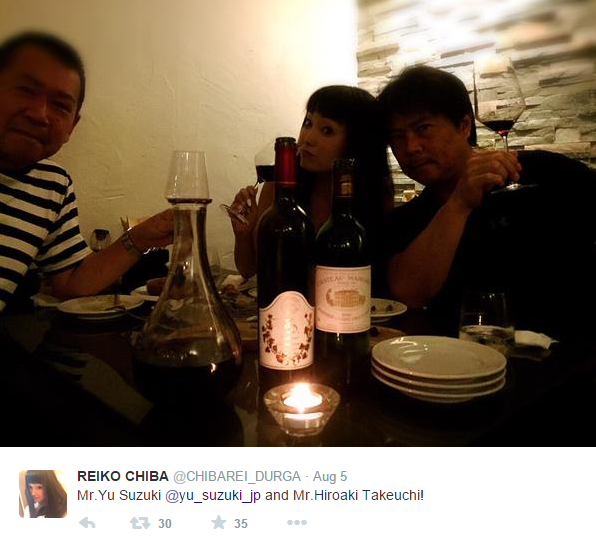 A few years ago, she posted a photo of herself at dinner with Yu and animation producer Hiroaki Takeuchi on Twitter. 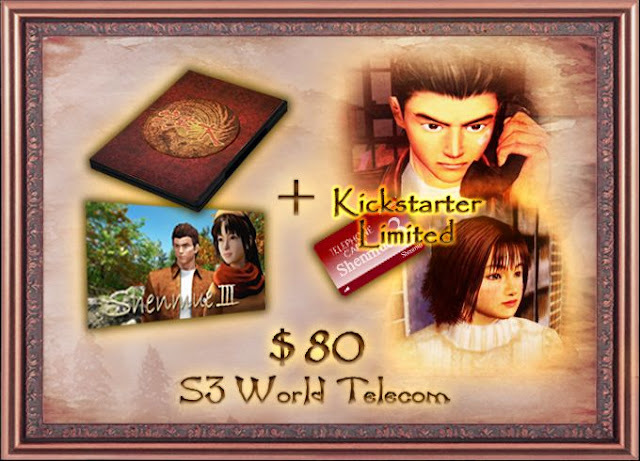 English voice recording for Shenmue III is now underway! 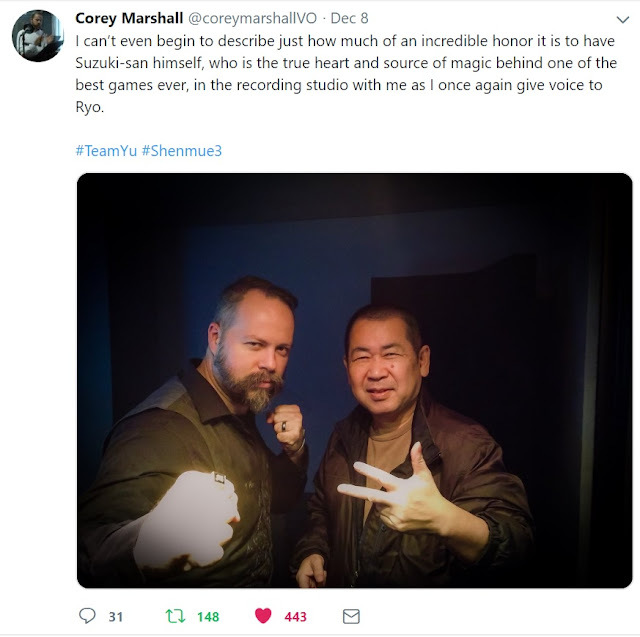 Voice actor Corey Marshall, who is reprising his role as Ryo Hazuki for the game, recently revealed via Twitter that he has started recording, sharing a photo of himself in the recording studio together with Yu Suzuki. This follows the news earlier in the year in the June Kickstarter Update of the start of the Japanese voice recording. Thanks to the studio lights, Corey's stance in the photo was given a super-worldly glow, to which Corey jokingly remarked, "You’d think the other name for Shenmue 3 is ‘Ryo Hazuki: The Immortal Iron Fist’." 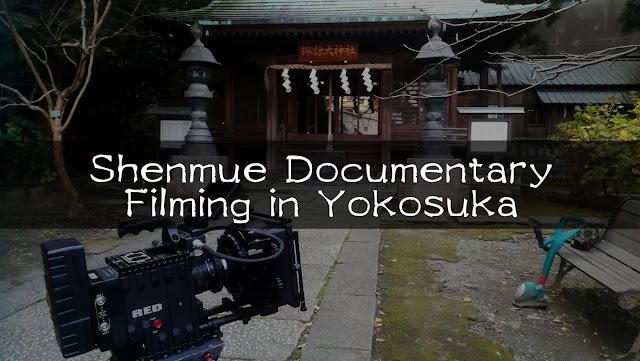 The documentary project "A Gamer's Journey: The Definitive History of Shenmue" was successfully funded on Kickstarter in August, and its creators have spent the past week in Japan, carrying out numerous interviews and filming footage for the documentary. Switch recently accompanied the project originator, Adam Sipione, and his crew on a filming trip down in Yokosuka. This post is a photo report of the day. It was a cool early-December morning when I joined the documentary crew in boarding a southbound limited-express train down to Ryo Hazuki's hometown of Yokosuka. 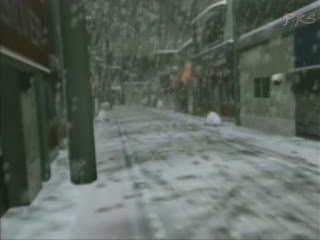 The purpose of the visit was to gather "b-roll" (supplemental) footage of the area, capturing on film snippets of Shenmue's vibe that can still be felt there today. Just under an hour later we stepped out onto the platform at Yokosuka-chuo station and, passing through the ticket gates, made a bee-line for the tourist information center conveniently located in the building opposite. 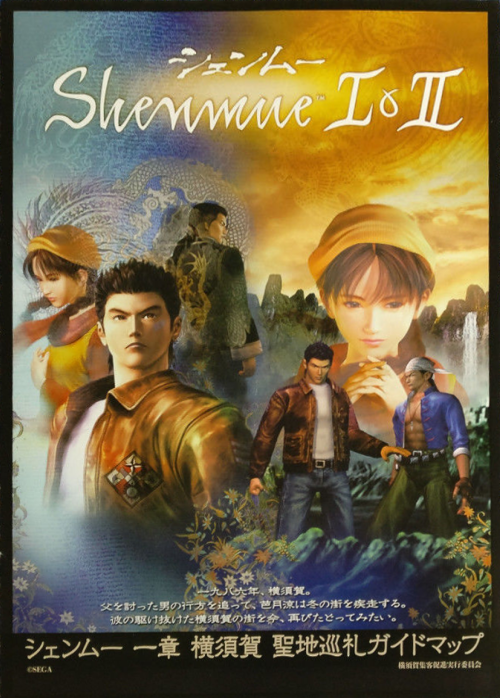 Pleasingly, there was a large Shenmue I & II poster* displayed prominently at the front of the information desk. "In-game restaurant menus around Dobuita." 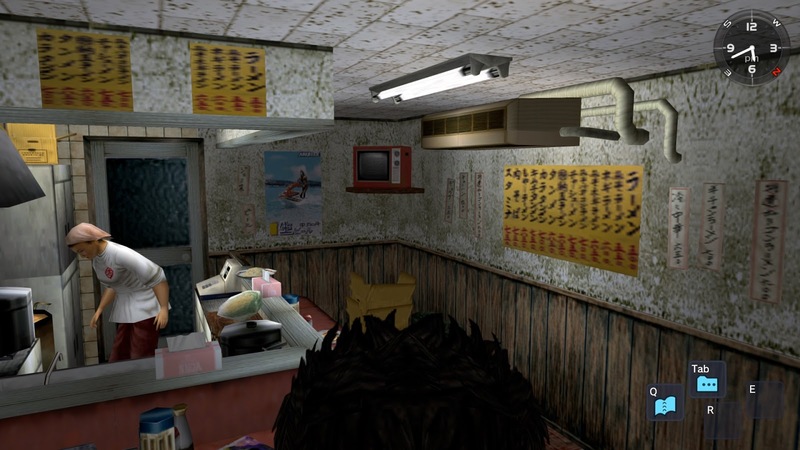 Although in Shenmue Ryo isn't able to eat at any of the restaurants around his home town, each of them is created in great detail, right down to the menu boards and lists of what food is available at each. For this topic we'll investigate the various menu items and their prices at the restaurants around the Dobuita area, and see exactly what is on offer. If you're interested in reading it early, check us out on Patreon - the $2 tier will get you early access as soon as its ready, plus access to all early-access posts for the month. Or become a patron at a higher tier and participate in voting for your choice of monthly blog topic. Link to Phantom River Stone on Patreon. In this post we will examine some textures relating to envelopes and letters that were not used in the final release version of the game, but which were discovered hiding in the game files. 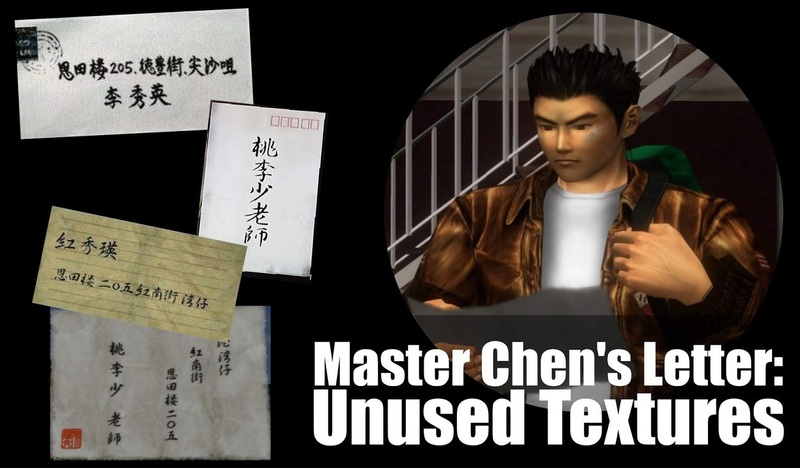 In particular we will focus on one particular letter that plays a key part of the story: the introduction letter from Master Chen that Ryo receives at the end of the first game, containing the name and address of a master in Hong Kong who will be able to assist him. Ryo checks Master Chen's note upon arrival in Hong Kong, at the start of Shenmue II. Yu Suzuki has announced that he will be in China on 16th December to give a presentation about Shenmue III, at the invitation of WeGame, China's biggest PC games distribution platform. The event's name is G-Fusion Tour and the venue is in Xiamen, a sub-provincial city in south-eastern Fujian province. 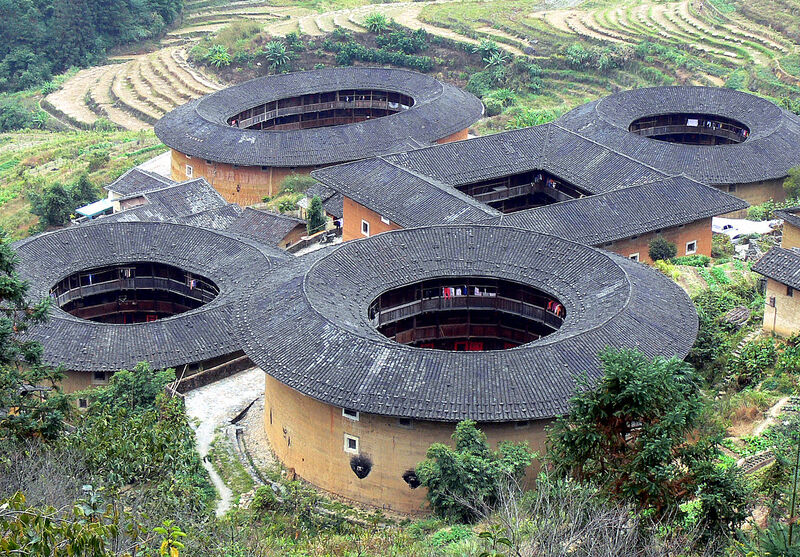 Fujian province, in which the venue city is located, has a special meaning to Shenmue fans as it is home to the Fujian Tulou, multi-level rounded buildings that feature in the concept art for the city of Baisha in Shenmue III. The event's website promises that there will be interesting stories and that "good news" will be announced. 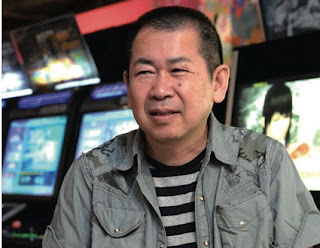 We look forward to what Yu Suzuki may reveal in his presentation on the 16th. 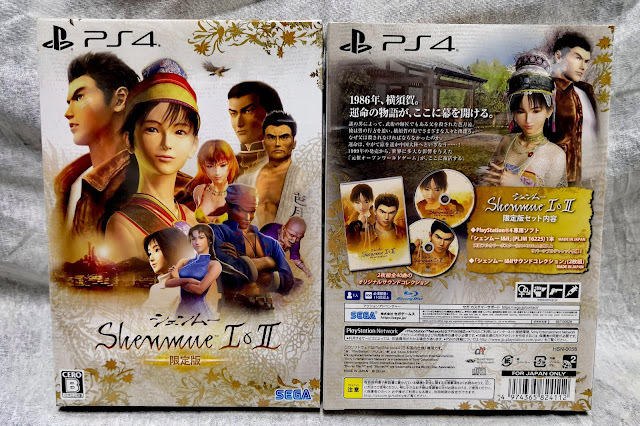 Today (November 22nd) is the release of Shenmue I & II in Japan, exclusively for PS4, three months after its international release. This fantastic image was drawn by @r_wuying (link to tweet). Twitter is buzzing with tweets of anticipation and excitement, both from former players of the games and those who are excited to try it. 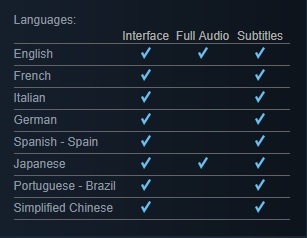 Not being available on Steam in Japan, this will be the first time for most there to experience the new version. The beautifully-packaged Limited Edition comes with a double-CD "Sound Collection" soundtrack (Japan only). Gaming magazines and sites have also published articles such as this one from Famitsu [Japanese] introducing the game to newcomers and highlighting improvements made over the originals. 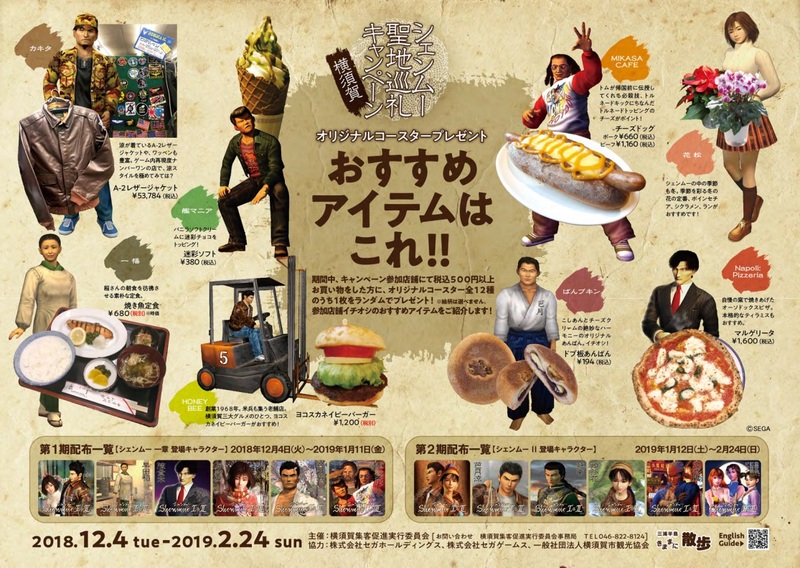 Shenmue-related events are also helping to stoke the Shenmue excitement, with collectible coasters being given away at selected shops in Dobuita, and a Shenmue fan meeting arranged in December. 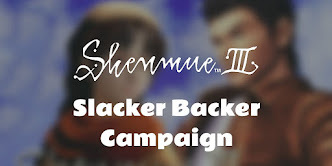 A positive reception in Japan will hopefully translate to robust sales, and stir anticipation for Shenmue III which will release on 27th August of next year. 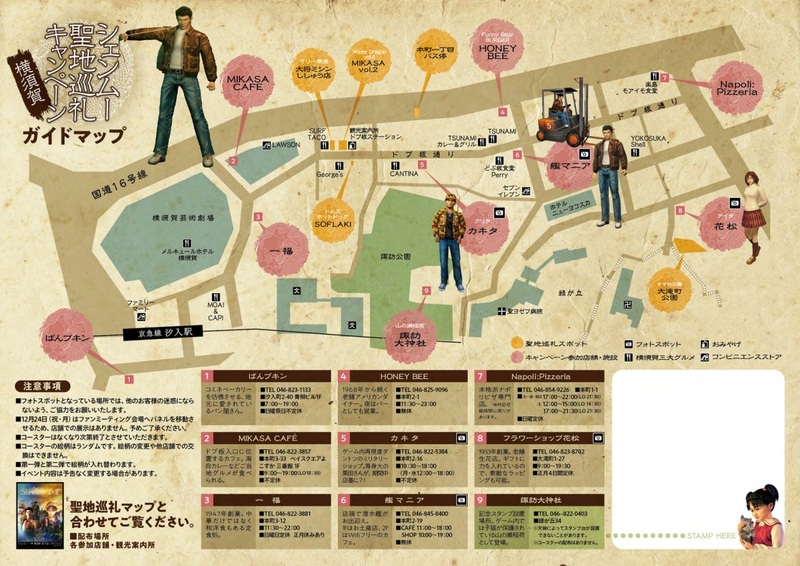 Sega Japan will be streaming a 2-hour talk panel on Shenmue I & II on Wednesday November 14th at 8pm JST. The MC will be Masaya Matsukaze (Ryo Hazuki's Japanese voice / mocap). Hiroshi Noguchi and Eigo Kasahara (developers on the original games & now working on the Japanese localization of I & II) will also make an appearance. The discussion will be in Japanese. The panel guests are members of Japanese media who are self-professed fans of Shenmue, including IGN Japan, 4Gamer, Dengeki and Weekly Famitsu. An on-stage discussion with the same participants was held at the 2018 Tokyo Game Show, but the 30-minute slot was felt to be too short, hence the longer time allowance. 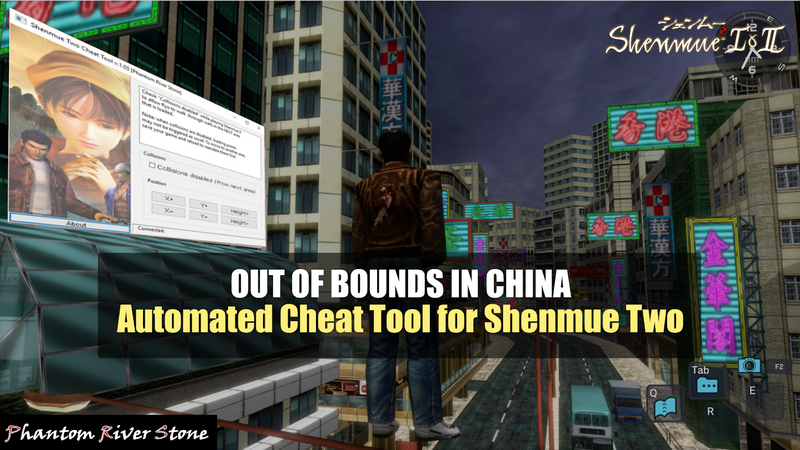 In this post, we present our automated tool for Shenmue II that will let Ryo step right through walls, fences and boundaries as if they didn't exist. 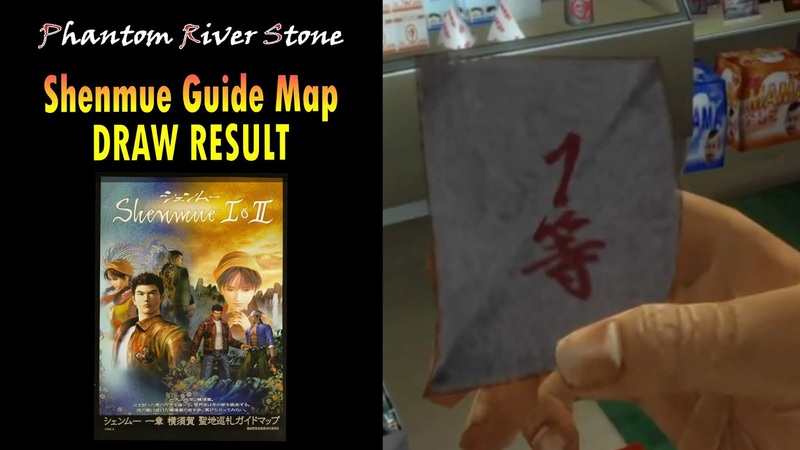 It is a companion tool to the one for Shenmue I (which can be found here). The Download Link can be found near the end of the article. The tool is a short script built in the Cheat Engine (an open-source memory scanner, editor and debugger) that scans through memory to identify boundary data for the current area, and clears it out. Bingo - the boundaries are removed. The original method for removing collisions in the Dreamcast version was developed by Giorgio and BlueMue of the Shenmue Dojo. "Unused textures found in What's Shenmue: introductory letter from Master Chen." 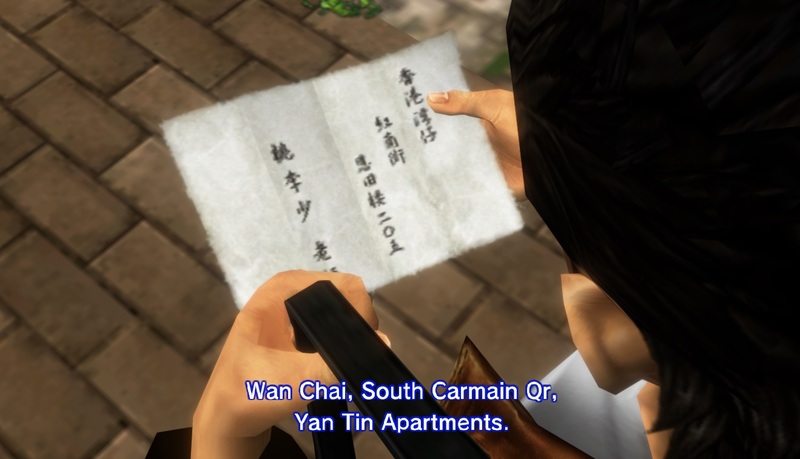 At the end of Shenmue 1, a cut scene plays in which Master Chen hands Ryo an envelope and tells him that it contains the address of a master who will be of help after he arrives in Hong Kong. 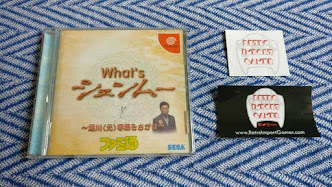 Several years ago, the modding & hacking community discovered some unused graphic textures relating to this envelope and its contents sitting on the What's Shenmue demo for the Dreamcast, and we will take a look at them in the blog later this month. If you're interested in reading it early, check us out on Patreon - the $2 tier will get you early access as soon as its ready, plus access to all early-access posts for the month. Or become a patron at a higher tier and participate in voting for your choice of monthly blog topic. 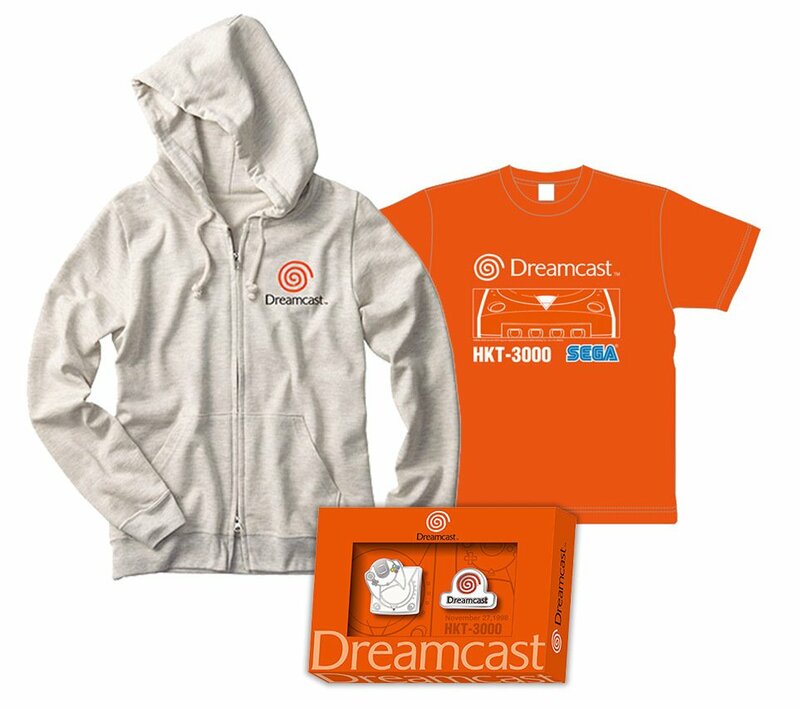 SEGA Japan has updated their website with a new page added to the hardware history section about the Dreamcast console. "The end of the year saw the appearance of an epic creation whose development had carried over from the era of the Sega Saturn: Shenmue Chapter 1: Yokosuka. 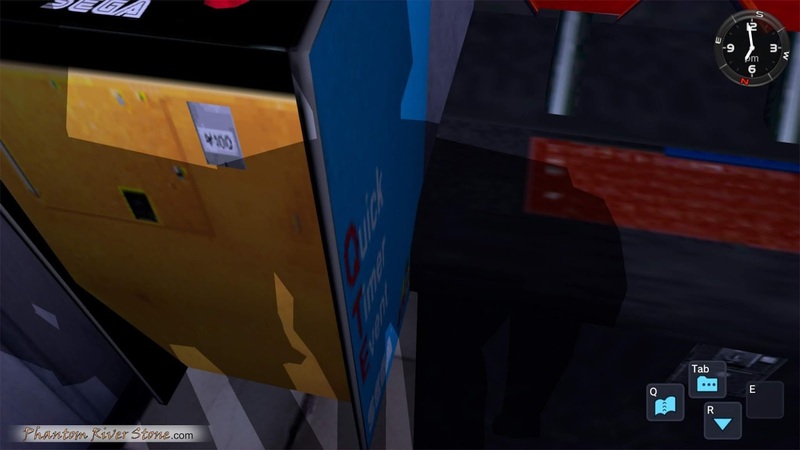 This work, which went on sale at the end of 1999, built on technology cultivated for the Virtua Fighter series, and played out its story with 3D-rendered characters in the 3D-built town of Yokosuka, on a scale that was a first for its time. The open world concept it presented had not existed until then, and it is said to have had a great impact on the game industry in subsequent years". 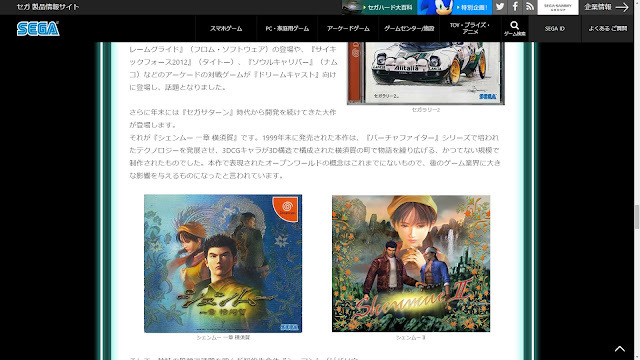 The Shenmue games are given a mention on SEGA Japan's page on the history of the Dreamcast console. 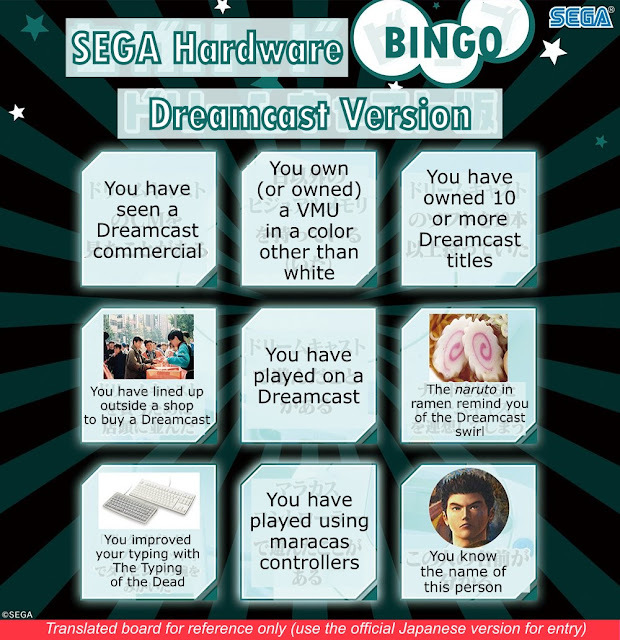 In conjunction with this new article on the Dreamcast, SEGA Japan is running a "Dreamcast Bingo" give-away on Twitter - and it features the face of a familiar character! Follow the SEGA Japan twitter account. 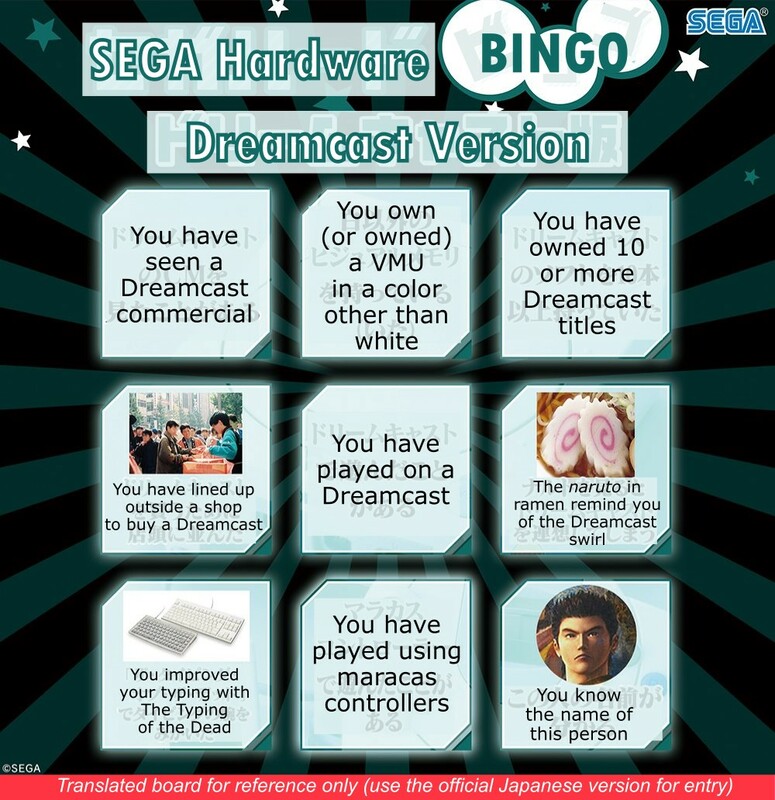 Download the official Japanese Bingo board image from their tweet and circle/mark it with all squares that apply. Getting Bingo is not mandatory for entry! There are three prizes of a set of Dreamcast merchandise up for grabs. Entries are accepted until November 12th JST. Note: As far as I have been able to determine, there are no stipulations regarding entry being restricted to Japanese twitter accounts, but it is likely the prize would be delivered only within Japan (for example, to the address of a forwarding company). View the video below the article text. 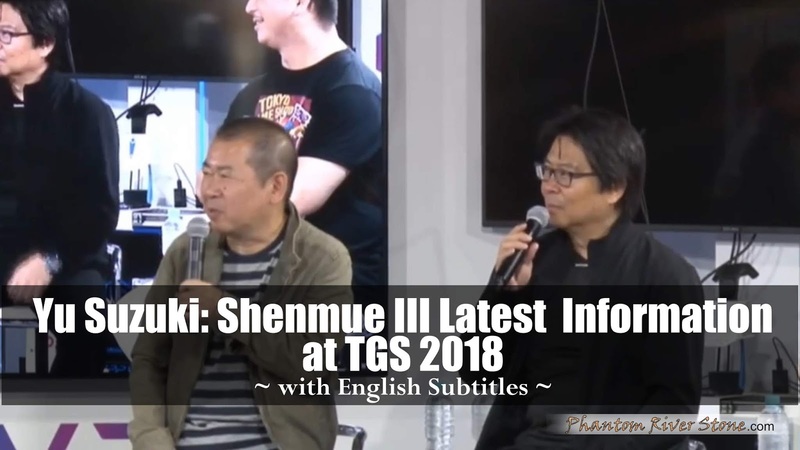 At the 2018 Tokyo Game Show on September 22nd, Yu Suzuki and Shenmue III animation director Hiroaki Takeuchi spoke for a short time on the topic of Shenmue III. 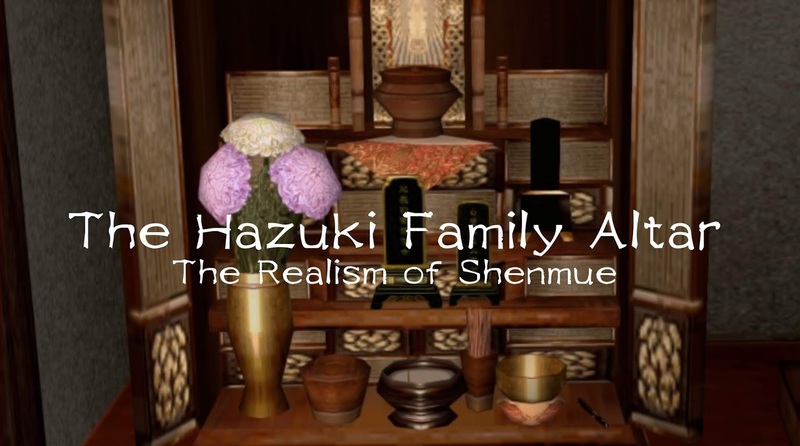 The Shenmue topic was a special section within a larger presentation about a VR game created by JPPVR (and their software subsidiary VReS) for which Suzuki is general producer. Sitting next to Suzuki and Takeuchi is Taichi Shibuki, the CEO of VReS. 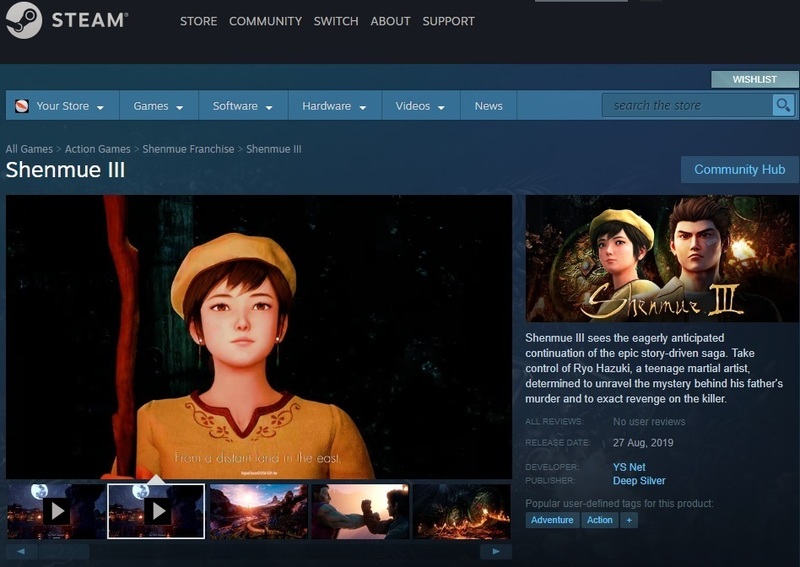 Kicking off the talk segment is a showing of the latest Shenmue III trailer, "The Prophecy," with its announcement of the release date of 27th August 2019, giving it some additional exposure to the Japanese domestic audience. Apparently Takeuchi had been invited casually by Yu to join him for the stage session without knowing details of what it would be about, and he does a good job of heightening the sense of excitement for the game's upcoming release. Partway through, Takeuchi switches to the growling voice of "Mr. X", a fictional masked character that he used to play in the 1980s, appearing in Young Jump magazine and the video game magazine GTV. (Alas, these efforts are largely ignored by the announcer!). Yu touches on the current activities of the game's development, indicating that the battles are being fine-tuned. 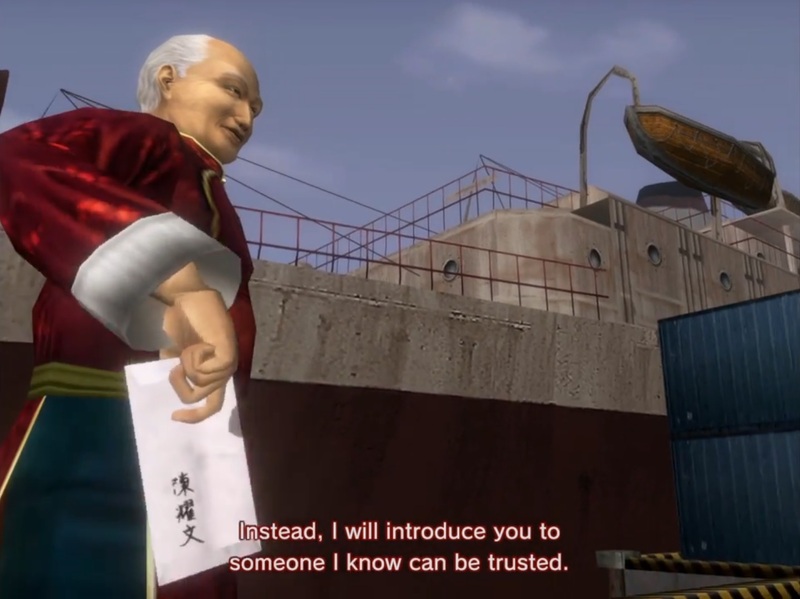 He also states that he won't be travelling to China as wants to "avoid being beaten up" - a reference to his 1993 research trip for the original Shenmue games where he was famously dealt an accidental blow from his friend Master Wu Lian Zhi during a martial arts demonstration. 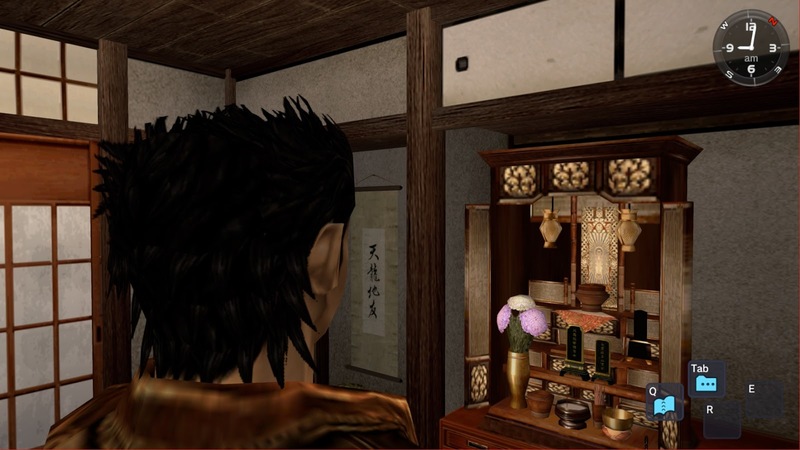 Something that leaves a deep impression is the extent of the dedication that Yu has to the development of Shenmue III. He reveals that he often works through the nights and catches up with naps during the daytime. 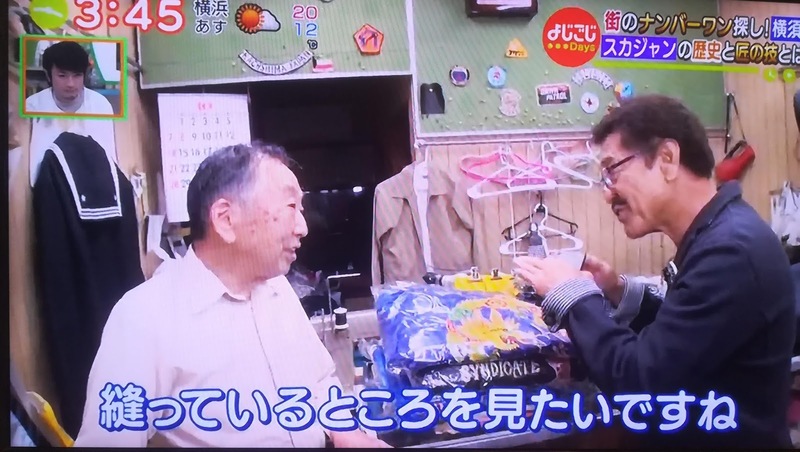 Takeuchi even cracks a joke about his reduced alcohol intake compared to the days of Shenmue I & II! 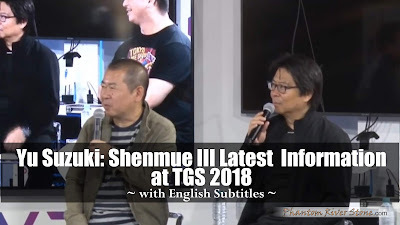 One of the highlights of the talk for me is when Yu Suzuki expresses the joy he gets from being able to create Shenmue III: "After it's over, I want to go back and start creating another, as soon as I can." The lucky winner is Irfaan (FlagshipFighter)! We will be in touch soon to collect delivery details.